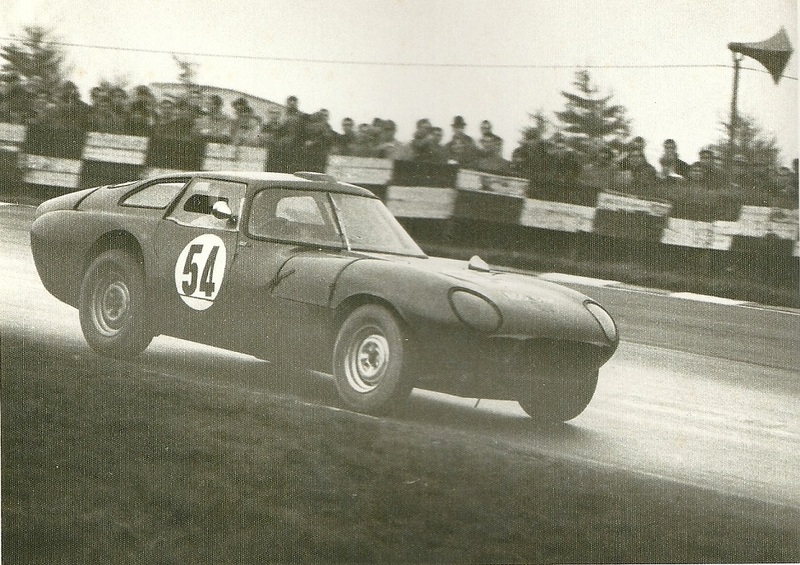 850 CAM was the main works fastback and was driven in a number of international events, among others at the Nurburgring. 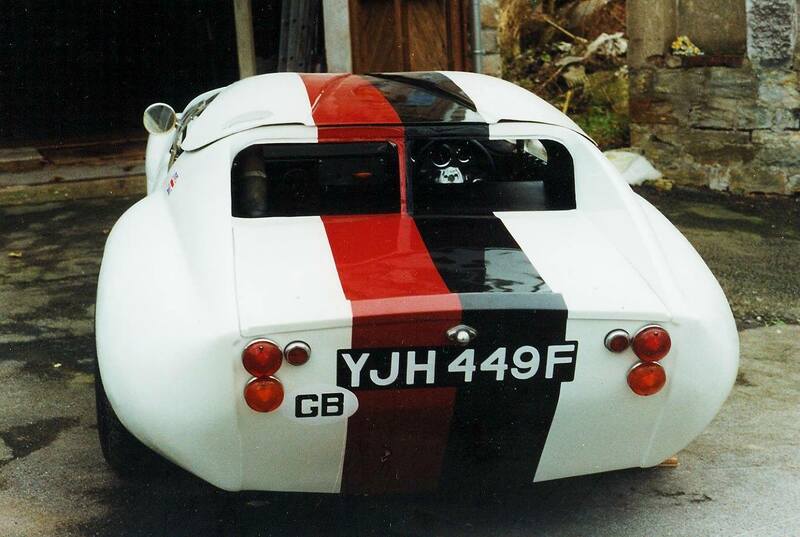 Although it had the new symmetrical chassis, its chassis was modified by reducing the passenge footwell to give more to the Weber carburettors. It also had larger doors, which ran into the sills. the no doubt improved the acces which was pretty difficult on the standard car. 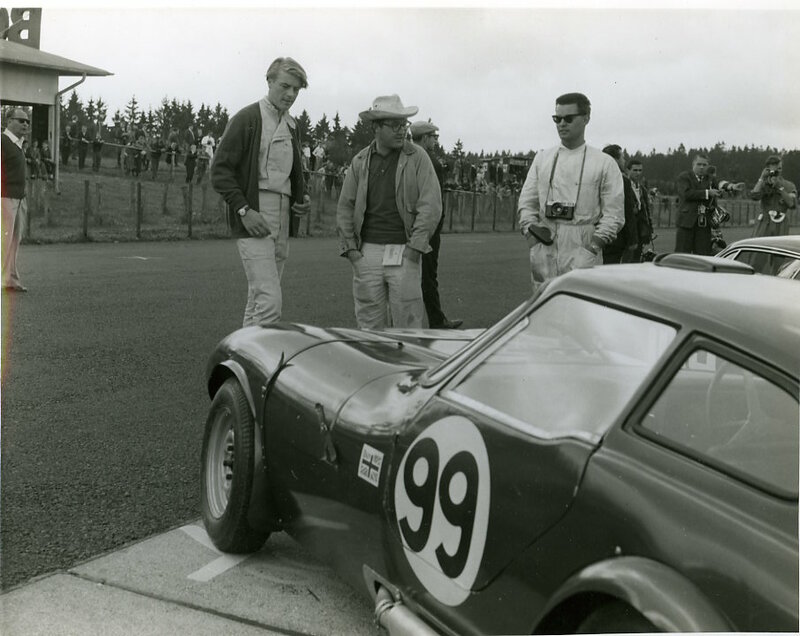 John Sutton points out: The three guys are left to right, Tommy Weber, Peter Jackson and John Sutton with camera’, this picture was taken at the Nurburgring. After its service for the Works, the car was sold to Raymond Nash, who painted it white and continued to compete the car internationally. Raymond Nash, driving 850CAM, still dark blue. 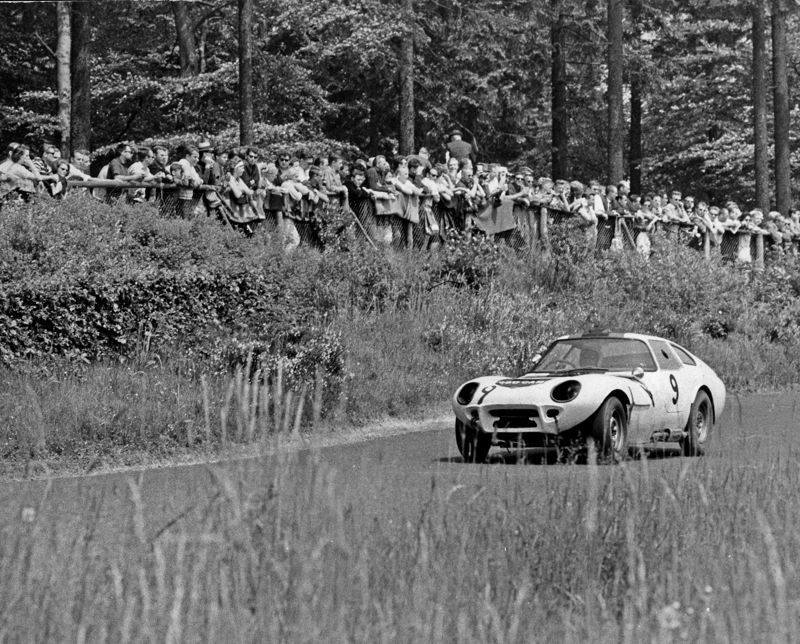 Back at the Ring for the 500km in 1964, with Raymond Nash at the wheel. 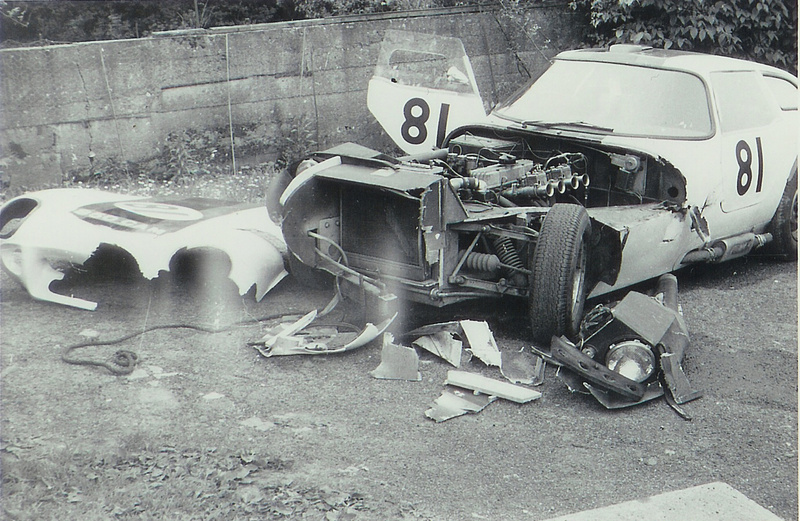 A young Klaus Tweddell caught the car on camera. 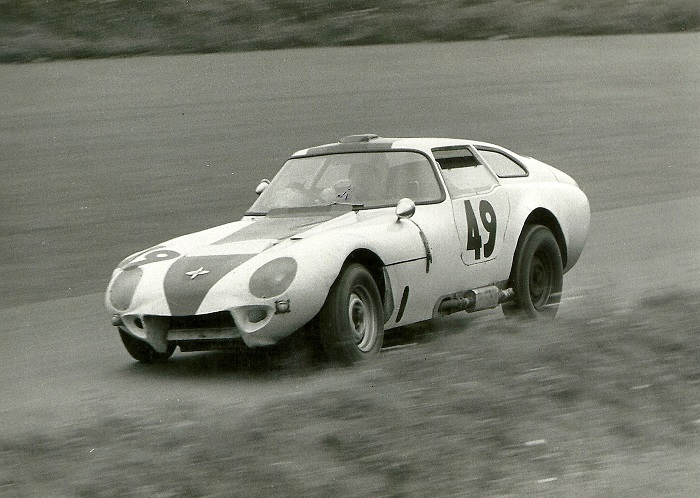 Driving hard meant he had an ‘off’ now and then, especially with drive shafts having a tendency to snap. The following two pictures were kindly supplied by Rob Petersen. 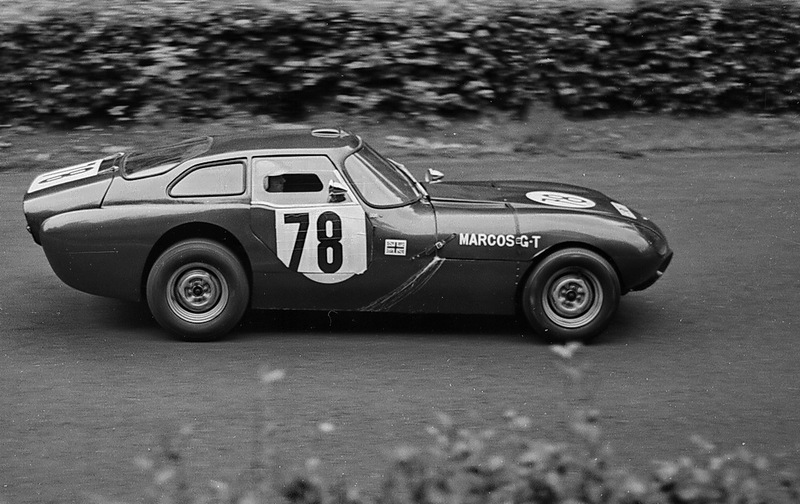 They were taken at his local Zandvoort circuit in Holland in 1965.